Avengers, ASSEMBLE!! Show your love for Earth's Mightiest Heroes with this excellent piece of official Marvel merchandise. This officially branded design comes on a heavy cotton blend sweatshirt. These garments are a 50% polyester, 50% cotton blend. 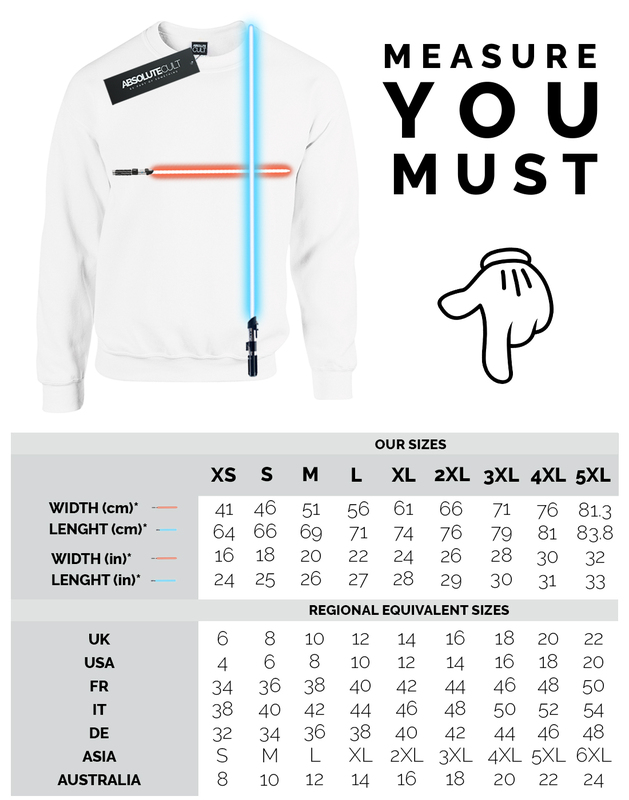 Please refer to the size guide in the pictures for sizing measurements. Officially branded merchandise with all authorised licensor branding, packaging and labelling. 240gsm lightweight garment perfect for summer or wearing all year round.. Lightweight unbrushed fleece, raglan sleeves and shaped side seams for a feminine fit.